Swims 1 and 2 are accessible on foot. The other Swims are only accessible by boat. 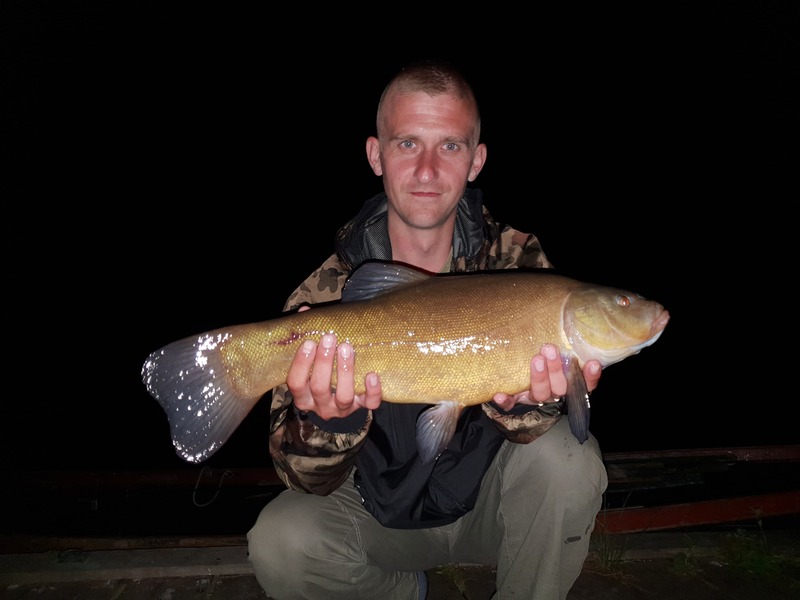 "Once again had a great weekend.Andre was really helpful and I used his rods on the last night and caught 2 bonus fish." "Brilliant place looking forward to going back !!!!" "We spend nice time at the water, boss of the water was perfect. We booked stake 7 and learn a lot on this water. From monday to friday a few nice fishes. 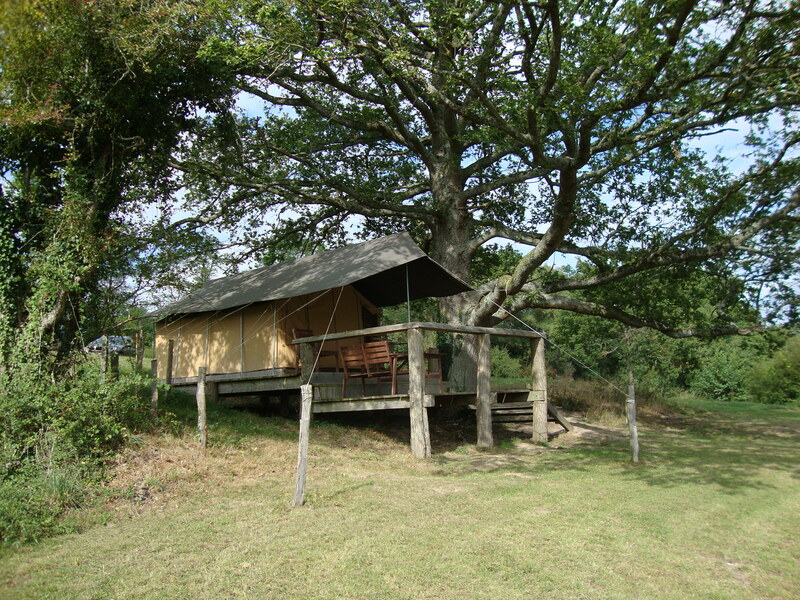 We're back so soon is possible ;) "
Het Plashuis has a total surface of 28 hectares. The bottom consists of soft silt with hard pitches. 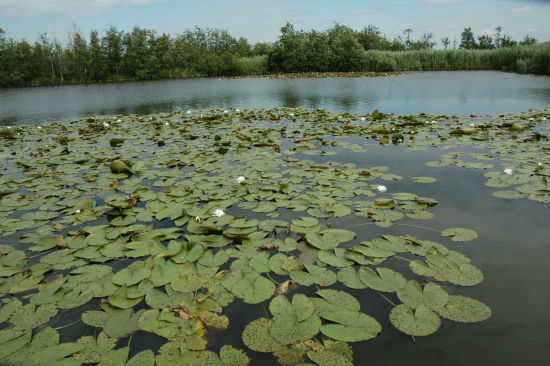 The water has marvellous reed lined margins and lots of lilies. Maximum depth is about 2,5 meters. There’s a secure perimeter, which means that your car is safe on the car park. The anglers can fish the lake from 9 swims. Each swim is strategically chosen and they all have unique features. All swims are made of wood, except swim 2 is a grassy swim. There’s enough space for 2 bivvies on the swims. 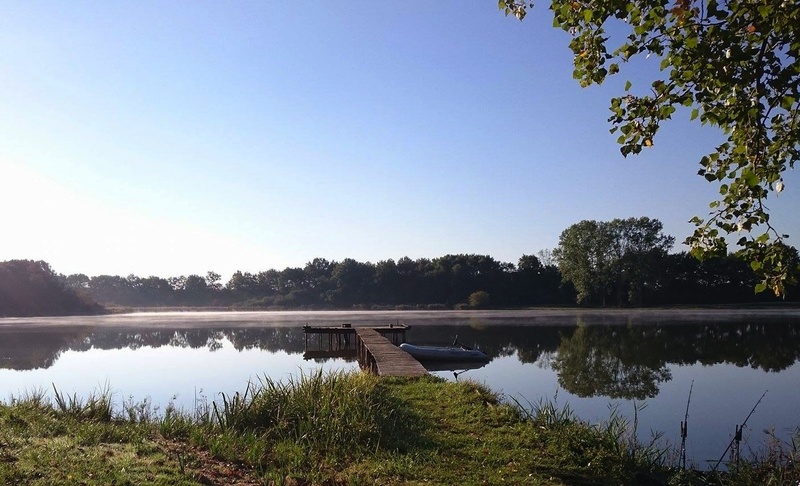 Swims 1, 4, 5 and 7 are double swims; whereas 1 angler can book swims 2-3-6. Swim 9, the so-called “Pontoon”, is a floating swim located near the peninsula in front of swim 1. From this swim you can fish 360°. It's a double swim, although too small for 2 bivvies, but can be bookes by one angler too. The "Pontoon" is 4 meters by 6 meters big. 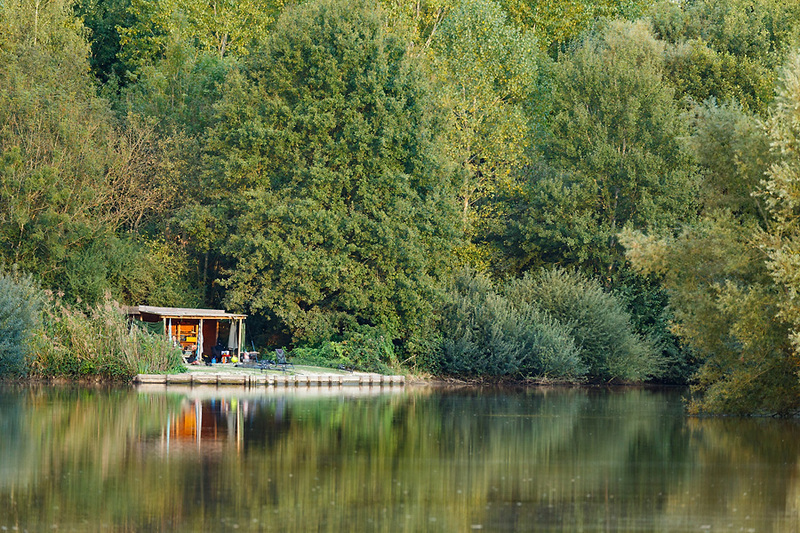 Swim 1 and 2 have free electricity and on swim 9 is a double bivvy installed which can be used free of charge. Swims 1 and 2 are accessible by foot; the other swims only have access by boat. All swims have a wooden boat that is included in the price, from which ground baiting and placing of hook links is allowed. 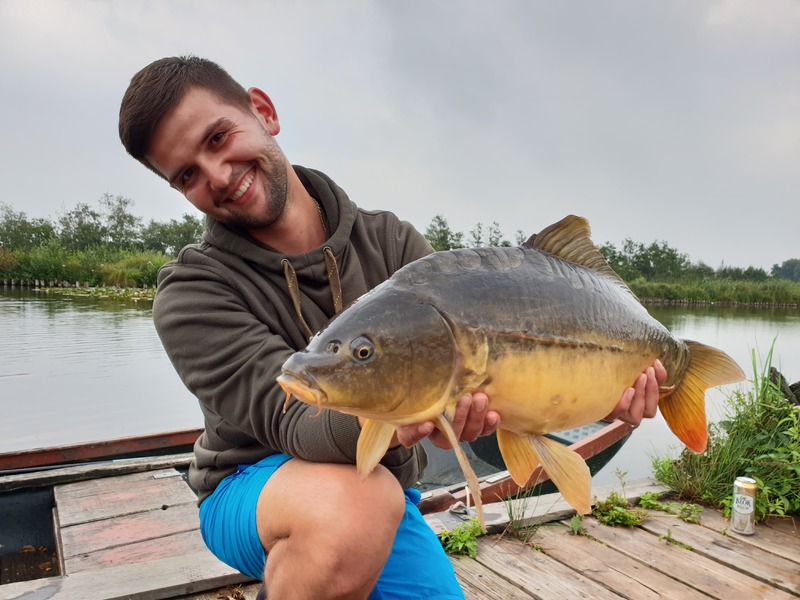 The carp at “Het Plashuis” have an average weight of 22 pounds. The heaviest carp was 45 pounds. You can also expect other species like bream, roach, tench, pike, etc. There’s a very good and clean sanitary with water closet and shower in the Clubhouse. 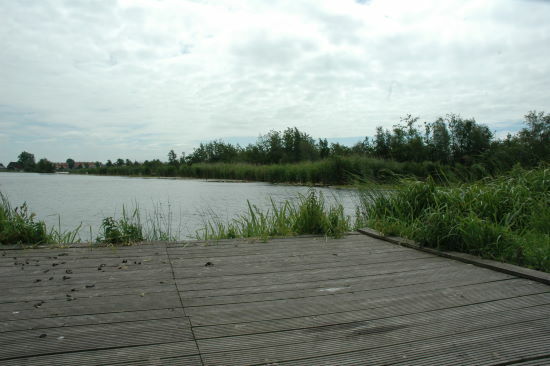 Het Plashuis is a fantastic comfort-lake where you can expect a lot of service. On arrival you will have a drink while the bailiff explains you during the briefing what are the best techniques at that particular moment, what bait, where to fish, etc… then, everybody goes to their swims. You can book your peg with or without food. You can have breakfast at 10€, a lunchbox for 12,50€ and a three-course meal for 25€. There is also a small tackle shop with hooks, swivels, bait etc. They rent electromotors and baitboats (15 euros per day). The food can be ordered on site. - 3 rods per angler, barbed or barbless hooks, no carp sacks, braided mainline allowed, big unhooking mats and PVC weigh sling. Use desinfectant for hook wounds please. - Boats and baitboats are allowed. - Domestic animals are allowed on leash. Bait Boats are allowed 24hrs a day and can be hired. You are allowed to take out your baits in a Boat. Rowing Boats & Motor Boats ARE NOT ALLOWED ON THE WATER 1 Hour AFTER SUNSET AND 1 Hour BEFORE DAWN. If you stay at the Hotel you are allowed to have 2 spots to fish from. No fixed Leads, safety rigs only. These are the only enforced rules.